Given the inherent magnitude of protecting the leader of the free world, it’s fair to assume that the ”layers of checks and balances” are impenetrable, ensuring the utmost efficacy of the Secret Service in protecting the White House, and the president in particular. 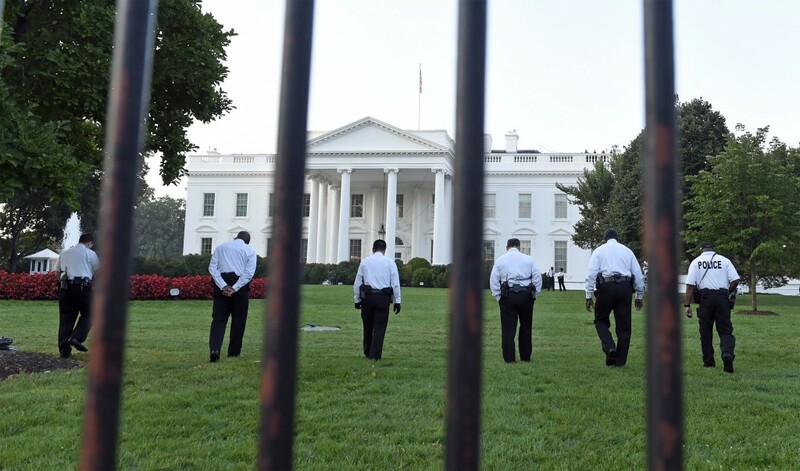 If the grounds of that assumption were shaken by the recent evasion of security by Omar Gonzalez, who has been charged with breaching all 5 layers of security defense by scaling the perimeter fence circling the White House and entering it unauthorized and armed, they may be shattered as evidence emerges that he had in fact been investigated twice within the last 3 months for suspicious activity regarding the White House. Less than 3 months ago, Mr. Gonzalez was stopped by Virginia police who found a total of 11 weapons in his car along with a map highlighting directions to the White. If Gonzalez had been placed on a watch list, it had no effect on his being stopped by police, and again let go, for suspiciously circling the White House… with a hatchet attached to his belt. The now former director of Secret Service, Julie Pierson, who has acknowledged her shortcomings, could offer little more than sincere regret regarding Service oversights when pressed by members of the House of Representatives government oversight committee. Perhaps the final straw in a string of incidents under her direction came at the revelation that Gonzalez’s attempt is actually not the most recent security breach, despite occurring just weeks ago. In the most recent security breach known to the public (lack of transparency has been listed amongst the concerns), the perpetrator, a hired contractor, was standing alongside the president in the elevator. As he stood in direct proximity, he allegedly began filming the president even as the Secret Service ordered him to cease, prompting the red flag. The filming itself may not have posed a direct physical threat, however it was determined that the worker possessed a felony record, indicating a serious lapse in screening and background checks. And he was armed! Under both Pierson and her predecessor, Mark Sullivan, other startling breaches have occurred, many of which were kept from the public and in some cases the President himself. In March of this year, a Secret Service agent specifically responsible for being the last line of defense in fighting off assailants, should the president or his motorcade come under attack, was reportedly placed on leave after being found passed out drunk in the hallway of a hotel in Amsterdam while on service there with the President. Substantial media attention was given to incidents under Sullivan’s direction, including the infamous ‘party crash’ in 2009 by Tareq and Michaele Salahi during Obama’s first state dinner; Secret Service admitted to never checking to see if they were on the guest list. Three years later in April of 2012, a prostitution scandal involving officers, escorts and strip clubs wrought embarrassment and heightened scrutiny upon what should theoretically be the most distinguished security system in the world. However, the most disturbing yet least talked about breach actually came a year before, in 2011 when shots were fired at the White House. Reportedly, the roof and windows were hit by bullets, and yet it would be a full four days later before it was actually realized to have occurred, and only then when a maid reported the broken window glass in one of the rooms. It was alleged that when the shots were fired, they were at first brushed off by Secret Service as car backfires, distant gunshots likely in another neighborhood, despite one officer reporting to her superior that she believed the shots were at the White House. Alarmingly, the officer’s apprehension was disregarded despite presidential daughter, Sasha being in residence at the time, and Malia on her way. President Obama and his wife were not home and were reportedly infuriated upon learning this. In light of these events, the scrutiny Pierson endured becomes increasingly warranted. She has been been quoted as previously stating that the home to the President was not ‘welcoming’ enough: “We need to be more like Disney World. We need to be more friendly, inviting.” In what could be considered an unfortunate thought process foreshadowing the events leading to her resignation, Pierson elected to assign just 30 officers to patrol the White House perimeter, despite an internal recommendation calling for 100. Pierson may have left a sizeable task for her successor in restoring faith and trust in what should be the most impenetrable, unwavering security force in the world. Interim acting director Joseph Clancy, the retired head of Secret Service’s presidential protection division, is now responsible for that restructuring. He and several other members with the Department of Homeland Security will effect a review that will include a “distinguished panel of independent experts” tasked with investigating White House security and “related issues”. These members will be identified soon, and will be responsible for submitting recommendations by December 15th, when the new director is expected to be named. What should be expected to be the primary focus is the where, when and why these apparent mounting deficiencies and relaxations on enforcement and protocol occurred. The efficacy has been lost, an accusation even top officials within the service can’t deny. Thankfully none of the recent breaches resulted in serious physical harm to any party involved. Hopefully, and not without a thorough investigation and overhaul of the current system, these breaches can serve as a catalyst for attention and resolution to a matter which ultimately affects our entire national security.